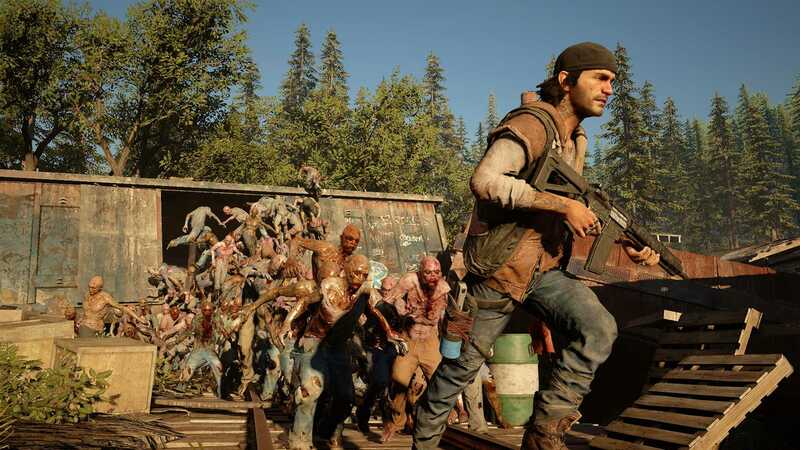 Explore more games and downloadable content for (Pre-Order)Days Gone Standard Editon! ※ Please ensure to read description before confirming your purchase. ※Content will be pre-loaded onto the PS4™ up to two days in advance of the release date. The content will not be playable until 4/26/2019, 00:00 HKT/TST/SGT. ※To automatically download pre-ordered content: Go to [Settings] > [System] > [Automatic Downloads and Uploads] and make sure the option to automatically download is enabled. ※Pre-loading does not grant early access to the game; it simply loads it up to two days prior to its release so you&apos;re able to play on its release date. ※You need to leave your PS4™ turned on or in rest mode to allow automatic download. ※This title has not been rated in Singapore and is currently pending rating. Users aged under 18 in Singapore shall not be allowed to place a pre-order. 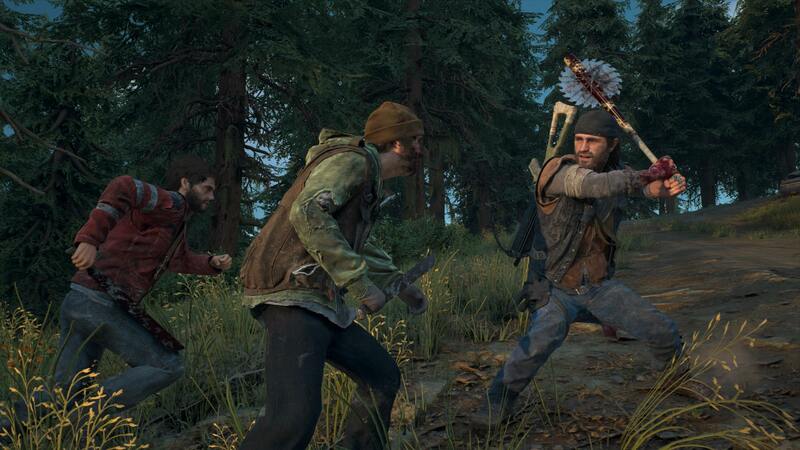 •Harsh Open World: Using the power of PlayStation®4 and Unreal Engine 4, Days Gone offers an incredibly realistic and detailed open-world experience. Immerse yourself in vast and hostile environments, and explore their secrets. Search abandoned vehicles, houses, truck stops and towns as you scavenge for resources. But be careful— day and night cycles, along with dynamic weather systems, all affect gameplay and enemy behavior. •Brutal Sandbox Combat: Perfect your gameplay with an endless combination of strategy and play in every situation. Craft customized items using pieces and parts found in the field, from brutal melee weapons to traps and more. Act wisely, as every choice can be the difference between life and death. •Unique Enemies: In addition to human drifters, marauders and militia, Deacon must face a wilderness overrun by Freakers— mindless, feral creatures. Although more animal than human, Freakers are smart and quickly evolving. As with any living creature, they have needs, habits, and behaviors that Deacon must learn and adjust to. •Unique Setting: Adapt to quick environmental changes inspired by the harsh high-desert of the Pacific Northwest. One minute, Deacon is riding through a dense alpine forest—or snow field or lush meadow— and the next, he’s fighting his way through harsh desert lava fields and caves. Ancient lava flows scar and define the hazardous environments, delivering a breathtaking and diverse backdrop of regions to explore. From small towns and mountains to cliffs and river basins, explore the beautiful but threatening world, left in the wake of humanity’s destruction. 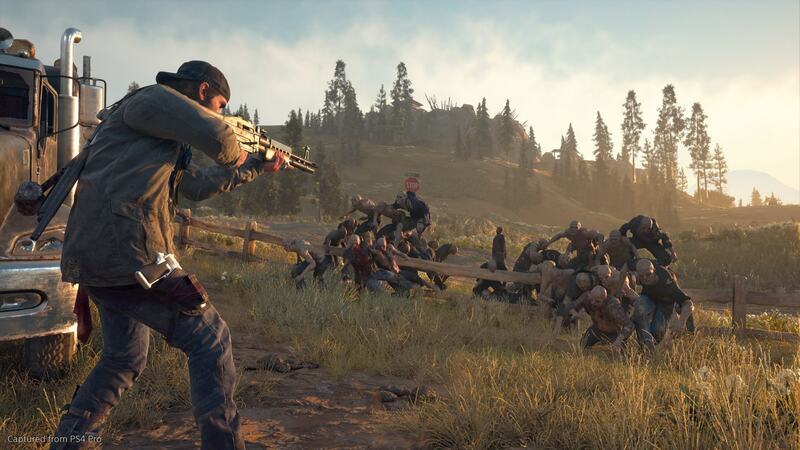 •Compelling Story: At its core, Days Gone is about survivors and what makes them human: desperation, loss, madness, betrayal, friendship, brotherhood, regret, love— and hope. It’s about how, even when confronted with such enormous tragedy, hope never dies.